So that you're not limited as to what you can cook, having a range of frying pans in different sizes is a must. The WMF frying pan sets are the ideal start on the way to culinary pleasure at the highest level! The big wide world of frying pans can offer you large and small models as well as various types of cookware, from the normal frying pan to special pans like crepe pans right the way through to grill pans. You can save money by purchasing one of WMF's many frying pan sets. Whether you're just adding to your already large array of equipment or want to kit out your kitchen for the first time, our frying pan sets are still an excellent choice. They always consist of two or three different frying pans so that you are properly equipped for any situation. Our frying pan sets include pans made from both stainless steel and aluminium. The aluminium frying pans have a high-quality CeraDur® non-stick coating. This special sealing ensures that you can fry without using too much fat and so can produce excellent results. In addition, the material can help distribute the temperature evenly so you can be in perfect control. With our frying pans you can reach temperatures of up to 400 °C quite easily. The WMF stainless steel frying pans are made from the proven Cromargan® stainless steel 18/10, which can withstand the highest of temperatures and is also easy to maintain. Our frying pan sets often come with practical accessories to make your job in the kitchen easier. A matching glass lid enables you to use regular frying pans as roasting pans. Flexible fish slices are also an important part of your assortment of kitchen utensils – this is particularly true when you opt for a frying pan set in coated aluminium. In any case however, you are advised to be careful when using the robust non-stick coating so you can make the most of your cookware for as long as possible. Our WMF frying pan sets don't only save you energy but also money. If you buy one of our sets you will get high-quality frying pans at a discount price yet you'll be left wanting for nothing. Your love of cooking is our passion. We never stop working on refining our products to perfection, right down to the smallest detail. This means that you can cook like a pro in the comfort of your own kitchen.  Discover the WMF range for yourself now – why should you be satisfied with anything less?